#BuddyfightBirthday Challenge 1 Winners Announced! The festive #BuddyfightBirthday celebration is now ongoing! 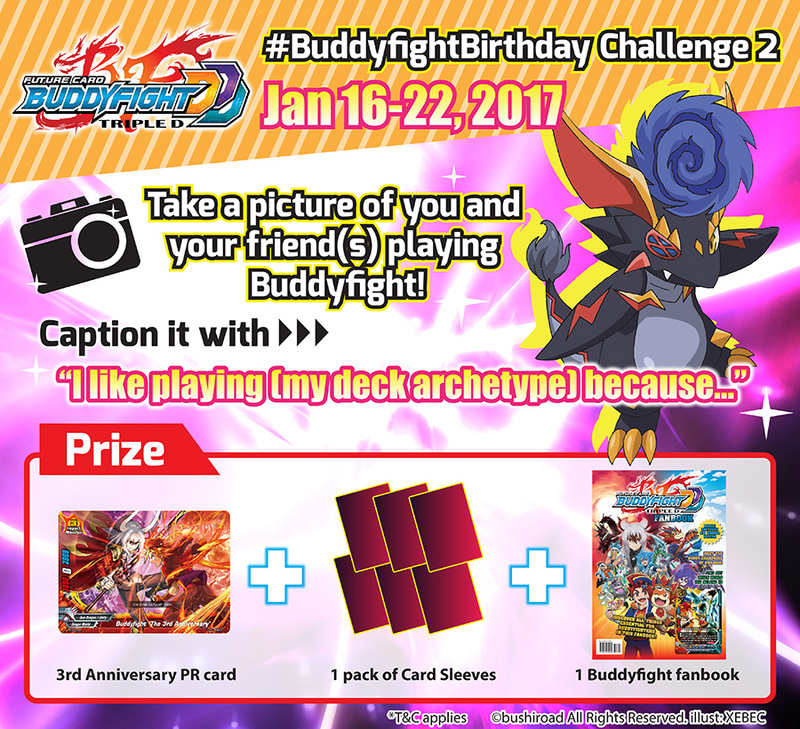 For the past week, we challenged all of you to post a picture with your Buddy on our first #BuddyfightBirthday task. 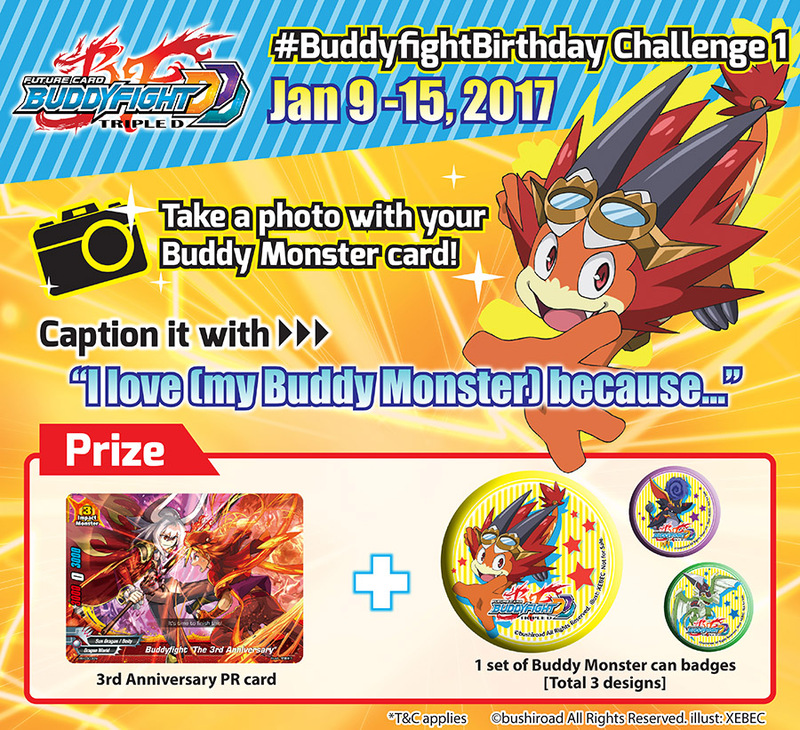 Among everyone completing the first #BuddyfightBirthday challenge, we’ve randomly picked some to win a set of Buddy Monster can badges and the 3rd Anniversary PR card! You can check out the latest #BuddyfightBirthday wishes here! Congratulations to the winners! We’ll be contacting you through Facebook, so do check your inbox (our message may be under your Message Requests, make sure you check it as well!)! For everyone else, the 2nd #BuddyfightBirthday challenge has now commenced! Do submit your entries before end of the week to win more Buddyfight goodies! Stay tuned to our Facebook and Twitter for the challenge updates! Till then, keep on Buddyfighting!